I just signed up for an October online webinar over the weekend, which reminded me at the same time to update my Health Care Team members. The webinar is titled: Making the Perfect Team: Working with Your Dialysis Technician. It is being presented by the American Association of Kidney Patients (AAKP) in conjunction with the organization’s HealthLine initiative, and in partnership with National Association of Nephrology Technicians/Technologists (NANT). The AAKP HealthLine is a webinar-based program (with the conference call option still available for those without a computer) that conveniently educates patients and their family members on a variety of important health care topics from the comfort of their home or office. HealthLine addresses many issues patients with kidney disease face, such as: diet/nutrition; mention/social/emotional health; medication management; renal replacement treatment options; co-morbid conditions kidney patients cope with such as hyperparathyroidism, bone disease, anemia, heart disease, and much more. All webinar programs are one-hour long, and they feature two to three expert speakers. All HealthLine programs are recorded and archived on the AAKP website (www.aakp.org) for continued patient education. More than 5,000 individuals have participated in a HealthLine webinar. The October webinar will be “aired” on Tuesday, October 9, from 1-2 p.m. (EST), featuring the important role of the dialysis technician and the special relationship they have with their patients. The AAKP HealthLine is an interactive program, with time provided at the end of each webinar for a brief question-and-answer session. Most dialysis patients, like me, can vouch for the need to establish a good relationship with their technician, the person most likely to spend the most time during the duration of the treatment. In my case, the treatment runs 3¼ hours, not counting the 10-15 minutes of preparation and a similar amount of time to disconnect from the machine that serves to remove excess fluid and to cleanse the bloodstream while circulating the patient’s blood. Most all patients receive treatments three times each week on a year-long basis. At my in-clinic center (Fresenius Southport) on the south side of Indianapolis, the treatments run on a Monday-Wednesday-Friday routine, where seven technicians tend to a double shift of patients in up to 24 recliner chairs. I am generally “on the clock” by 6 every treatment morning, and I usually leave the clinic by no later than 9:45. Each technician likely will have three to four patients at a time to look after. Most patients have what is called a fistula that has been placed surgically in the forearm or upper arm location. The fistula provides an access for hooking up the patient to the dialysis machine, with technicians trained on how to “stick” two needles in the arm – one needle pulling the blood into the machine and the other needle returning the blood back into the arm. Over the course of a single treatment, the process will circulate 2½ to 3 times a patient’s bloodstream – about 10-11 pints of blood for a man and 9-10 pints for a woman. Since transferring to the Fresenius center last February, I have had all seven technicians “stick” me, some more frequently than others. Occasionally, the same technician might tend to me on back-to-back treatments. On some weeks, I may have a different technician each day. What I have noticed is that I seem to have established a relationship, mostly good, with each of the seven technicians. All seven are listed on my Health Care Team. Clinical Manager: Melissa Neuman, R.N. The Rev. Archie L. Gilmer, Oak Grove Christian Church, Arden, N.C. There are times when chronic kidney disease patients feel like they are on the short end of managing their own destiny. There are a couple instances that have arisen recently that tend to substantiate that feeling. 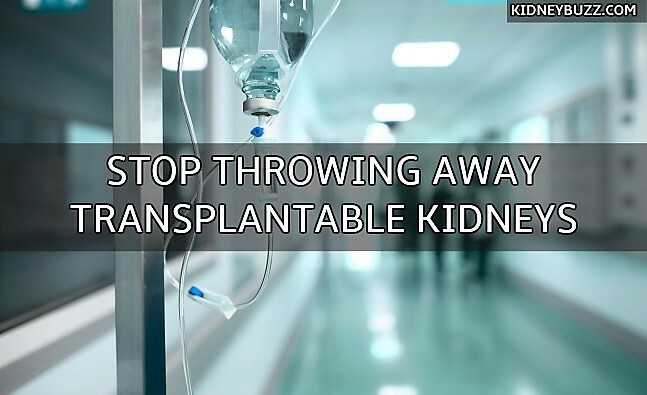 One is a report on kidneybuzz.com provided by Public Broadcasting Service (PBS) that suggests that transplant hospitals are throwing out kidneys and denying patients to meet federal standards. Another is legislation proposed in the U.S. Congress – known as the Dialysis Patients Demonstration Act – that the American Association of Kidney Patients (AAKP) believes restricts patient choice. The AAKP, along with most of the kidney community, has consistently supported integrated care as an important goal for quality patient care. However, AAKP contends this new legislation (H.R. 4143/S. 2065) fails to achieve that goal because it severely restricts patients’ freedom of choice – it infringes upon the patient/doctor relationship, and it creates profound disincentives for transplantation, threatening access to high quality care provided by non-profit and small dialysis providers. Also, according to AAKP, it excludes patients if they are transplanted. The bill, and the strong-arm tactics large dialysis lobbyists and their PACs (political action committees) are using to attempt a forced Congressional passage, without accepting reasonable patient-friendly modifications, has created tremendous controversy throughout the kidney community. ** It automatically, without patient consent, assigns kidney patients to a “demonstration program” that favors only the largest, status quo dialysis providers. ** And, if patients do decide to “opt-out,” they only have 75 days to figure out how to do so! Clearly, the lobbyists who wrote the bill are not patients and have never experienced their lives being turned upside down by realities of kidney failure and dialysis! ** The integrated “demonstration program” creates financial disincentives for transplants, and then excludes patients if they are transplanted. AAKP believes the bill is backwards. Patients deserve the full freedom to knowingly “opt-in” to a program that puts their health and life at risk. If dialysis providers run a “demonstration program” that fails to address patient concerns, patients should have the full freedom to “opt-out” at any time. This keeps accountability in the system and means big dialysis corporations must treat patients, at the minimum, like any other customer-oriented business in America. At last count, there were 244 kidney transplant centers in the United States, according to the non-profit organization, National Kidney Center. Those collective centers hold over 100,000 chronic kidney disease patients on their kidney transplant waiting lists – all of whom are in desperate need of a lifesaving kidney transplant. Well, Public Broadcasting Service (PBS) broke the shocking news that the number of organs being tossed out or discarded has drastically increased. Reporter Casey Ross (PBS) suggested the startling revelation that kidney transplant hospitals across the United States are “throwing away less-than-perfect” kidneys and denying the sickest chronic kidney disease patients lifesaving transplants. Apparently, a key reason for the decision to discard kidneys at a record rate is out of fear of a federal crackdown and possibly losing Medicare funding. “Last year, 3,159 donated kidneys were discarded, up 20 percent from 2007, according to federal data,” reported Ross. This comes with news that the wait time for a chronic kidney disease and dialysis patient to receive a kidney transplant from the waiting list is also increasing. Ultimately, many kidney transplant centers are rejecting relatively large amounts of kidneys because they are concerned that poor surgical outcomes will result in a federal penalty. Yet, decisions to reject those organs by transplant centers do not give them that opportunity. In general, centers are seeking organs free of disease and certain biomarkers that could impair function or cause complications after surgery. However, studies have repeatedly raised questions about whether organs are being tossed out unnecessarily. According to the KidneyBuzz.com article, there also are other implications. And the online site asks diagnosed CKD and dialysis patients the following question: Have you ever felt as though your kidney transplant center is looking for every excuse to take you off the kidney transplant waiting list, or refuse to offer you a kidney transplant? Although, Centers for Medicare & Medicaid Services (CMS) have begun circulating a memo highlighting concerns about organs going unused – citing the 20 percent increase in discarded kidneys – it is not enough. KidneyBuzz.com is encouraging diagnosed CKD and dialysis patients to request that CMS take immediate action to help prevent kidney transplant centers from discarding transplantable kidneys, as well as limit CKD patients being removed from the kidney transplant waiting list. Patient advocate statements can be forwarded to U.S. Centers for Medicare & Medicaid Services, 7500 Security Boulevard, Baltimore, MD 21244. CMS.com is a federal government website managed and paid for by the U.S. Centers for Medicare & Medicaid Services. 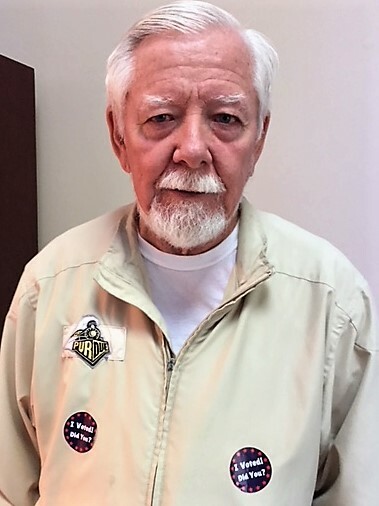 https://www.diodialysis.com/wp-content/uploads/2017/10/logo.png 0 0 Bernie Gilmer https://www.diodialysis.com/wp-content/uploads/2017/10/logo.png Bernie Gilmer2018-09-02 14:21:452018-09-02 14:21:45ARE PATIENTS ON SHORT END OF MANAGING OWN DESTINY? I do not pretend to understand totally the innovations that are emerging from various researchers who are attempting to improve the lives of those diagnosed with chronic kidney disease and those who have reached the end stage of being on dialysis. I have read up a good bit on the artificial kidney that may be on the brink of successful marketing. 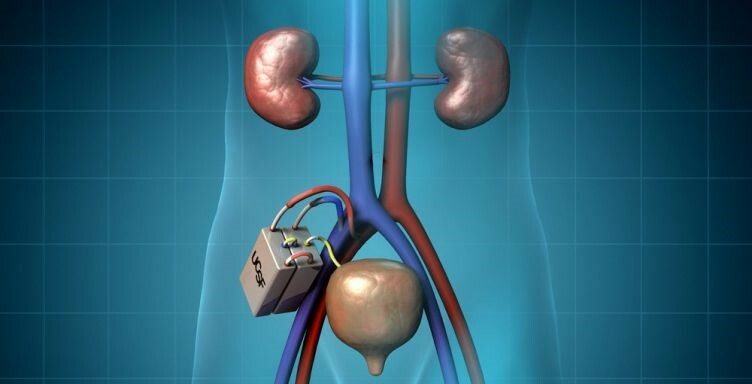 I have read up somewhat on wearable artificial kidneys that may someday make dialysis patients much move ambulatory. Now I am being presented with 3D printer technology that may be able to impact those with kidney failure. What some call “The Chronic Kidney Disease Community” has again been hit with welcomed news of the progress of three-dimensional (3D) printed organs such as kidneys which with newly discovered technology can be used to construct viable transplantable kidneys and cut the times of those on kidney transplant waiting lists. The rapidly growing kidney transplant waiting list is not new to most chronic kidney disease and dialysis patients. Now as over 120,000 patients await a kidney transplant for an average of five (5) to seven (7) years or longer, patients and researchers have been searching for alternative options. Some of these innovations likely do offer some hope for patients wanting to find an option to shuck dialysis and replace the option of kidney transplantation. While the organic 3D printed transplants have been a theoretical option, they have also met various obstacles preventing 3D printed kidneys from becoming a reality. However, the New Scientist publication now reports: “Researchers of the University of Florida in Gainesville came to a breakthrough method while searching for a way to enable the printing of items that cannot support their own weight.” The new technique prints objects inside of a gel material similar to hand sanitizer called Acrylic Acid Polymer. In the test runs, the researchers used living cells including human blood-vessel and kidney cells. Findings were very promising and according to researchers it “could make it easier to print organs from living tissue.” The Research Team was able to shape the material into small scale models. Nevertheless, there is “a catch,” noted New Scientist. Apparently, there are a few “shortcomings” associated with this process, “but the possibility presents a considerable amount of promise going forward, and the researchers from the project are optimistic” about the ability of 3D printed kidneys. This news is likely very exciting for some of us who are currently suffering from chronic kidney disease and dialysis. Any innovation that provides hope for renal patients is welcomed news, especially if the update refreshes their spirit in continuing their fight for survival. As a dialysis patient, I can sure use any element of hope, even if it turns out to be a false dose of hope during my lifetime. Note: Information provided by kidneybuzz.com and the New Scientist publication. I received word this week that my book Dialing in on DI-AL-Y-SIS has been selected to be displayed at the upcoming 16th Annual Holiday Author Fair. The Fair is set for Saturday, December 1, from noon to 4 p.m. at the Eugene and Marilyn Glick Indiana History Center in downtown Indianapolis on West Ohio Street. Staged in the Historical Society Library & Archive (available by elevator), the much-anticipated event features dozens of bona fide authors sitting at tables offering their latest books for public consumption. The Author Fair’s selection committee has an established history of ensuring a variety of genres and price points that attract the many hundreds of shoppers, some who line up with their empty shopping bags well before the high-noon opening hour. All book sales are facilitated in the Library & Archive area by Basile History Market personnel. The Basile History Market is located year-round on the main floor of the museum. The names of authors and their books will be announced well in advance. Some of the prominent book writers have been displaying their books at this holiday extravaganza for more than a decade. 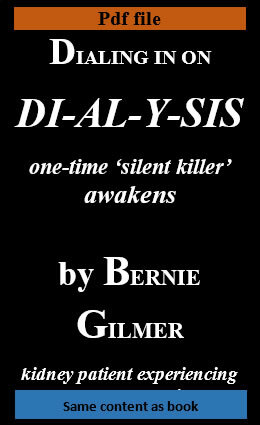 For those curious about Dialing in on DI-AL-Y-SIS, the 174-page paperback is an account of my first seven months on dialysis, along with a decade-plus of events leading up to my present fate — that being a kidney patient experiencing “end stage renal disease.” The 16 chapters provide valuable information, and are designed to be both entertaining and revealing. I am honored to be a part of this large group of authors who will be representing the literary community in Indiana by participating in the Holiday Author Fair. I attended this gathering a year ago and discovered that what was promised as “a fun-filled day of mixing, mingling and book signing” was up to its hype. When patients are first diagnosed with chronic kidney disease, or first initiate end-stage renal disease treatments (on dialysis) there are times when emotions can take center stage. In my book, Dialing in on DI-AL-Y-SIS, it is noted that “psychologists characterize the gateway into the world of chronic kidney disease – that can end up on dialysis – can create a physical and emotional crossroads. A pertinent online article, attributed to the American Psychological Association (APA), acknowledges that dialysis requires a considerable amount of time and effort. … And yes, it does take a lot of time to adapt to the necessary changes in lifestyle. Psychologists, in fact, provide a term – “rollercoaster emotions” – that pretty much describes what are going through the minds of those going on dialysis. Many are feeling hopeless, burdened by this albatross that is already wreaking havoc with their daily life. 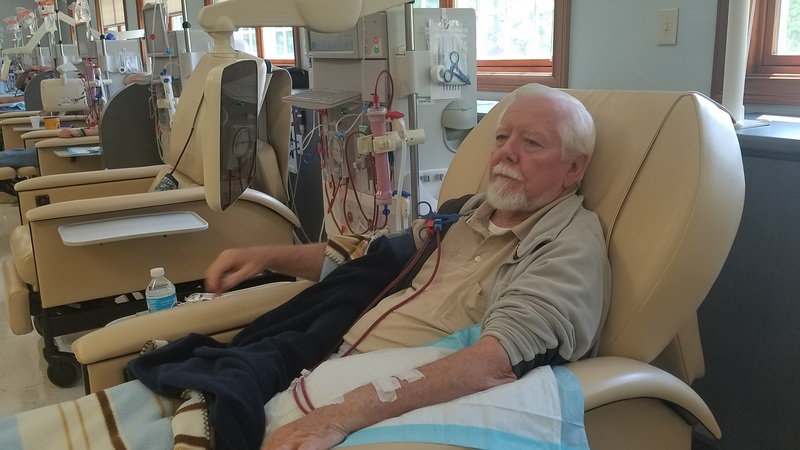 At other times, some patients may accept dialysis with a sigh of relief, sensing the upcoming treatments thankfully may extend their days on this earth. Just this week, I noticed a post by noted Indiana kidney disease advocate James Myers that suggests that the emotional toll on CKD patients is underappreciated at times. The post points to an article written by Pam Harrison on medscape.com in reporting a study by Dr. Ann O’Hare, a professor of nephrology at the VA Puget Sound Health Care system and the University of Washington in Seattle, and her colleagues. The study is titled: “A deeper appreciation of patients’ emotional experiences may offer important opportunities to improve care.” The study was published online on June 28, in the Clinical Journal of the American Society of Nephrology. The emotional toll that chronic kidney disease (CKD) has on patients is likely underestimated by most healthcare professionals, a descriptive study suggests. “Patients with advanced kidney disease interviewed for this study described feelings of isolation, abandonment, alienation, mistrust, and even self-blame that would probably be surprising to the providers taking care of them,” Ann O’Hare, MD, professor of nephrology at the VA Puget Sound Health Care system and the University of Washington in Seattle and colleagues write. The study was published online June 28 in the Clinical Journal of the American Society of Nephrology. O’Hare and colleagues enrolled 27 patients who were under care in the nephrology clinic or dialysis unit at the VA Puget Sound Health Care System in Seattle. Participants completed a 45- to 60-minute semi-structured interview that covered “both general questions about their illness experience and encounters with providers and the health system and more specific questions about their experience and perspectives on advance care planning,” the researchers explain. Among the participants, 37% were receiving hemodialysis at the time of the interview, 19% were receiving peritoneal dialysis, and 44% had not yet started dialysis. The mean age of patients was 63 years, and almost all patients, at 96%, were male. Three main themes emerged from analysis of the interviews. The first was the emotional impact of interactions with the providers themselves. “When providers seemed to lack insight into the patient’s experience of illness and treatment, this could engender a sense of mistrust, abandonment, isolation, and/or alienation,” the authors elaborate. The second theme was related to the first and engendered similar feelings of mistrust, abandonment, isolation, and alienation, but this time from encounters that arose through interacting with the healthcare system. The emotional impact of the illness itself on the patient was the third theme to emerge from the interviews. “Patients struggled to make sense of their illness experience, worked to apportion blame, and sometimes blamed themselves,” O’Hare and colleagues report. By way of examples of how these feelings could come about, the authors point to situations where patients felt that providers did not seem to be acknowledging them as a whole person, which led to feelings of alienation. Feelings of mistrust, in turn, could arise upon disease progression, which led some patients to question the quality of the care they had received earlier on. Others cited situations in which they felt unaccompanied or even abandoned in their journey through treatment and procedures. Often, patients expressed feelings of isolation in their experience of their illness. “Patients could also be impacted emotionally by how care was organized,” the researchers continue. For example, providers were often obliged to move in and out of an individual’s care as their illness progressed, triggering feelings of mistrust. Patients also expressed feelings of abandonment as the care they received appeared to be fragmented or when providers did not appear to collaborate with their colleagues. Some patients expressed feelings of alienation when, for example, they were given a tour of the dialysis unit, which many of them found quite distressing. “The question of whether and to what extent [patients] were responsible for the course of their kidney disease (or illness more broadly) was one with which the individuals we interviewed struggled greatly,” the study authors observe. For example, interviewees often assumed that they had brought their illness on by either not doing something they should have or by doing something they should not have done. “Even patients who understood their kidney disease to be multifactorial seemed to assume that they might have been able to do something to alter the course of disease if they had only known more,” the researchers write. The authors also point out that whether patients felt they were personally responsible for their illness could amount to a matter of “considerable moral importance” to them. However, they caution that improving communication between patients and providers will require providers to make a greater effort to more fully understand the emotional toll the illness has on patients. In an accompanying editorial, Denise Eilers, BSN, RN, who sits on several of boards of directors, including the board for Home Dialyzors United and the National Kidney Foundation Iowa, notes that all successful discussions about the treatment choices that patients with CKD face must involve real patient engagement. “For patients and their family, choice is about life goals, which are ever changing targets,” Eilers writes. For example, a young employed parent is very likely to have different treatment goals than an 80-year old being cared for in an assisted-living environment. Conversely, there may well be 80-year-olds who plan to take up sky diving in celebration of making it to their 80th year. “Each patient is an individual and assumptions are detrimental,” Eilers cautions. She also notes that findings from the study support the need for nephrologists to have difficult conversations “upstream” so when a serious situation does evolve, “there is a clear understanding of the patient’s wishes,” she writes. Above all, Eilers says this study is “especially timely” given the anticipated wave of baby boomers who are at risk for a variety of chronic diseases, including CKD. “That generation, of which I am a member, has been described in various terms such as goal oriented, self sufficient, questioning, and involved,” Eilers notes. “The sheer numbers of these older, non-traditional adults will make it necessary to move the needle further toward shared decision making,” she suggests. Today, I received an electronic communique from Lori Hartwell at rsnhope.org and her Renal Support Network’s RENALERT news issue. The lead article centers on the topic of depression. That reminded me of a blog item I penned back in early March titled Dialysis Has Its Own Pains & Sufferings, where I addressed personal pains relating to physical, mental, emotional, financial, family, and religious concerns. The RENALERT offering is titled Understanding Depression & Overcoing Depression, and is authored by licensed social worker Mark Meier, executive director the Face It Foundation. He explains in detail the steps to understanding and overcoming depression. For those whose fate has found them afflicted with chronic kidney disease, the following article will provide them with a worthwhile read. If you’ve ever experienced a soul-crushing Major Depressive Episode, or it’s equally evil brother, Persistent Depressive Disorder (formerly called Dysthymia), I hope I can impart some knowledge to help you battle against such monsters. For those of you who have never dealt with these characters, count yourself lucky, stop judging those who have, and read this article to gain insight into how you can support family, friends, and fellow CKD patients who are struggling with depression. According to the American Foundation for Suicide Prevention total about 1.1 million attempts a year; and suicide completions, which according to the Centers for Disease Control totaled 44,965 in 2016. Depression is real, and deadly. Depression is complicated. Repeat after me: “Depression is complicated, really complicated!” Unlike the stages of CKD, delineated by clear biochemical markers, with generally accepted protocols for addressing each stage, depression parades around in many different forms. It is often accompanied by denial about its impact and associated social stigmas. Our ability to diagnose it is often left to conversations, recollections of painful events, and a completely unexplained etiology. We can’t draw your blood, do a CT of your brain, run you through an MRI, or even order a simple X-ray to determine if you have it. All of which leave its treatment vulnerable to trial and error, frustration, failure, desperation, and fear. What all of this represents is PAIN, lots of it. This includes both physical and emotional pain. In fact, the pain is so great that the presence of depression is frequently associated with suicide attempts, which according to the American Foundation for Suicide Prevention total about 1.1 million attempts a year; and suicide completions, which according to the Centers for Disease Control totaled 44,965 in 2016. Depression is real, and deadly. It isn’t easy, it isn’t quick, and it requires effort, but for many sufferers of depression there are skills you can learn, attitudes you can adopt, and lifestyle changes you can enact that can provide a path to some peace and contentment. Further complicating depression is that for so many of us who have or continue to suffer from it, we have a tough time putting our own finger on why we feel so horrible. We look around and see that we have family, friends, a reasonable upbringing, the ability to pay our bills, and yet we still struggle. This set of circumstances compounds our guilt and shame, sinking us into self-loathing and disdain that makes no sense to the outside world. From this place of pain, many of us try to make these feelings go away by self-medicating with food, alcohol, the internet, shopping, gambling, etc. We become sullen, agitated, and our own worst enemies, as we further isolate ourselves by treating those around us poorly. We lose hope, we see darkness, and all we desire is for the pain to simply end.The reality is that the onset, recurrence, or exacerbation of a depressive episode is associated with MANY factors. These include: a history of abuse, a lack of coping skills, childhood (or adulthood) trauma, brain structure, dietary intake, a lack of social support, chronic disease (such as CKD), life-hassles, genetics (both our DNA and the environments we grew up in), and a whole host of other factors. Repeat after me: “Depression is complicated, really complicated!”What causes it? I wish I could tell you that it was simply a “chemical imbalance”, because then we could focus our efforts on developing an antidepressant which could be prescribed and taken correctly, and our problems with depression would be solved. The truth of the matter is that we simply don’t know what causes depression. We know that certain chemicals in our body such as serotonin, norepinephrine, dopamine, and others are associated with our moods, but saying that one or the other is out of balance and that is why people are depressed is not accurate nor is it valid science. Life seems pointless if you are mired in this state . . . but I am here to tell you there is HOPE! In fact, despite all that I have written so far (all of which I experienced firsthand, including a suicide attempt that landed me in the hospital) can be overcome. It isn’t easy, it isn’t quick, and it requires effort, but for many sufferers of depression there are skills you can learn, attitudes you can adopt, and lifestyle changes you can enact that can provide a path to some peace and contentment. Psychiatrists –Medical Doctors who have specialized training in the diagnosis and treatment of mental health conditions such as depression. Psychiatry is primarily engaged in the management of mental health issues using medication approaches. Primary Care Providers – Usually Medical Doctors who are trained in Family Practice, Internal Medicine, or OB/GYN. Subsets of these providers might be the Nurse Practitioners or Physician Assistants that work in these practices. These individuals are generally able to dispense medications such as antidepressants. Psychologists – They generally have a Ph.D. or Master’s degree in Psychology, and deal with mental health issues by screening and providing talk therapy. Generally, these individuals are not able to dispense medications for depression. Social Workers – They generally have a Master’s degree in Social Work and have obtained or are working on obtaining under supervision a clinical designation such as LCSW which stands for Licensed Clinical Social Worker. These individuals are not allowed to dispense medication, and treat depression through talk-therapy. Other Disciplines – Other disciplines such as those with advanced degrees in Counseling, Marriage and Family Therapy, Divinity, and Substance Abuse Counseling also provide talk therapy for dealing with depression. In addition to consulting professionals who diagnose and treat depression, there are other approaches you can adopt to help improve your mood. For example, we know that lifestyle choices such as eating a healthy diet, regular exercise, and a regular sleep schedule are all helpful in improving our moods. Many people who experience deep depression have the tendency to isolate themselves and disengage from their friends and family. I know how difficult it is to find motivation in the face of depression, but it is critical that you do your best to stay engaged with your social network. Friends, neighbors, family, and others in your community can not only “give you something to do”, they can also help you to challenge your negative beliefs and attitudes (these often accompany and exacerbate depression). We know that spirituality and/or one’s religion can be a source of comfort, especially if it accomplishes the goal of staying engaged positively with others. Part of spirituality for some is learning to meditate, or develop relaxation techniques such as deep-breathing, hypnosis, and visualizations. Depression is complex and complicated. It is impacted by a multitude of factors. Keep that in mind as you consider ways to attack it. I strongly suggest to you that there are no quick fixes, nor are there any easy solutions. What works for one person might not work for another. Don’t give up! Keep asking questions, keep looking for professionals with the necessary energy and professional curiosity to help you discover options that work for you, and understand you’re not alone in this fight! Mark Meier, MSW, LICSW is a Social Worker and is the co-founder of the Face It Foundation which is a Minneapolis-based organization providing peer support for men who deal with depression. In addition to his role at Face It, Mark is on staff in the Department of Medicine and Community Health in the University of Minnesota’s School of Medicine. Mark previously worked in a dialysis clinic as a social worker, trained patient care technician, and facility administrator. Displayng his 2 stickers after casting ballot. By the end of this calendar year’s first quarter (January-March), I can realistically state that I helped Fresenius Medical Care, the largest dialysis-related conglomerate in the entire world, to increase one of its numbers in a May 3-released financial report reflecting its U.S. and international operations. I really can’t get too excited, though, about my part in the report. After reading that the Marion County voting turnout (16 percent of those who are registered) was low, I still believe my effort on the political front was more impactful than my contribution was to the Fresenius divulgement. 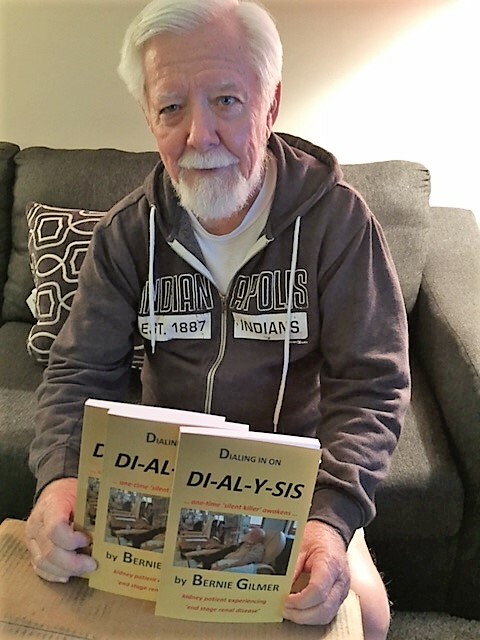 For those who may have followed my medical concerns, you may recall I went on dialysis a year ago February, and since have documented the journey in my book titled Dialing in on DIAL-Y-SIS. Since that writing, I have shifted my weekly treatments from an independent clinic to a spanking-new center, Fresenius Kidney Care Southport. That transition this past February placed me right in the middle of its parent-company’s financial report. So, really what was my contribution to this latest Fresenius financial disclosure? According to this recent report, the company – by the end of March (2018) – was treating 197,339 patients at its 2,419 clinics in North America. The report also documented a 4 percent increase in treatment numbers. Without my contribution, the number of patients would have tallied only 197,338. How about that on my part? The report also indicated the company increased 4 percent in its number of clinics. While my Fresenius Southport treatment center opened only full-fledge at the start of this calendar year, I did join the Indianapolis Southside clinic in February, being among the first dozen patients at the new 24-chair facility. During the past several weeks, the Southport in-center numbers are increasing by a new patient every day or so. Eventually, the clinic will accommodate more than 70 patients calling the facility their treatment home on three days of each, and every, week. Being a national and international player in the dialysis industry, it is not surprising that Fresenius is noted to have a major stake in Central Indiana. In Marion County and the eight surrounding counties, Fresenius operates nearly 20 in-center clinics with around 330 chairs providing more than 3,000 treatments a week. In the Central Indiana area, there are about 40 in-center dialysis clinics that push the total number of in-center dialysis treatments likely to roughly double (6,000 weekly treatments). In my Dialing in on DI-AL-Y-SIS book (promoted on www.diodialysis.com), I point out the enormity of the dialysis industry. Two mega companies – Fresenius Medical Care, based in the United States at Waltham (Massachusetts), and DaVita, located in Denver (Colorado) – dominate the landscape. Between the two, they operate more than 4,500 treatment facilities, with more than 350,000 patients. For the year 2015, Fresenius netted more than $1 billion (that’s dollars, now) in after-tax profit; for that same year, DaVita’s net patient revenue was $668 million. Over 90 percent of the machines utilized in the provision of hemodialysis are manufactured by Fresenius, with well over 100,000 of these equipment pieces placed throughout the United States. So, for this old retired American citizen, it was nice to note that within one week I had impacted both a political election, although just the Primary, and a first-quarter financial report disclosed by my home-away-from-home’s parent company. WSMV News 4, a Nashville (Tennessee) television station, this past week reported on the development and progress of a bionic kidney that is providing hope for the many thousands of dialysis patients across the country. There are two options for a person with kidney failure. A kidney transplant or dialysis, a machine that filters the blood of toxins, normally cleaned by healthy kidneys. Thanks to research conducted at Vanderbilt University Medical Center (located in Nashville) and five other universities around the country, a third option may be available that can mean people on dialysis can lead a normal life as if they didn’t have kidney failure at all. Right now without dialysis, a person with kidney disease can live for only a few weeks, perhaps months. A tiny device that can fit in the palm of your hand may be a game changer. It’s called the bionic kidney. Vanderbilt nephrologist Dr. William Fissell is part of a nationwide team of doctors and biologists who have been working on the device for 17 years. “It’s fair to call it a bionic kidney because it’s a hybrid of technology and living cells,” said Fissell. It’s been a long journey for Fissell. He hopes to begin clinical trials on the bionic kidney later this year and to get the device to kidney patients as soon as safety permits. “Know that we are doing it as fast as we can, and know that the rest of the country has mobilized in a way you may not expect,” said Fissell. If the bionic kidney makes that huge jump from clinical trials to where it becomes available to all kidney patients, the implications for someone in renal failure is huge. “What I want to do is enough, so that sick people can become well, not burdened by the disease, so that patients aren’t stuck to a machine plugged into a wall 15 hours a week, so they don’t have to have a special diet, so that patients don’t have to starve themselves to avoid intoxication with waste products,” said Fissell. Note: Joining Dr. Fissell as one of the two collaborators in initiating Kidney Project is Dr. Shuvo Roy, the effort’s technical director from his faculty status at University of California San Francisco. The two doctors initiated Kidney Project in collaboration at the Cleveland Clinic in Ohio back in 1998. The field generals on the diamond battlefields today are Whitey Herzog and someone called Tom Kelly. It’s hard to say, but I would be willing to bet a World Series ticket that neither has been down the road a piece from St. Robert, Missouri. Many generals and their troops have journeyed down the chute from St. Robert to the entrance of Fort Leonard Wood, a sprawling military reservation where Army recruits and “weekend warriors” have had occasions to pitch their footlockers over the years. I pitched mine on that miserable post – somehow Army bases never are listed in travel brochures – twice back in the late 1960s, although the brief, two-week summer camps on behalf of the United States Army Reserves hardly qualified the footlockers as dust collectors. The summer outing of 1969 did prove to be something special for someone like myself, who found helping to run a mess (dining) hall and serving Army chow less than a career opportunity at that time. It offered a study in human nature as the Army tends to provide a melting pot of the nation’s populace. And each individual element of this olive-drab society does pass through the mess hall for his daily allotment of sustenance, as it were. Some soldiers pass through mess halls in other than voluntary fashion. Some are placed on kitchen police – a glorified term for duties that include busboys, floor moppers, potato peelers, pots and pans scrubbers and the like. It’s one of the Army’s punishments – do something wrong and you end up on K.P. That brings us to the summer of 1969. Our unit reported one Saturday morning through the gate at Fort Leonard Wood, settled into some clapboard-sided barracks and promptly got assigned work quarters. For a handful of us, that meant buying (signing for) a mess hall and breaking open some rations for upcoming feasts. Now that same weekend the Kansas City Royals, playing their first season as an expansion entry in the American League (Charlie O. Finley had vacated his Athletics to Oakland), were involved in a homestand at Municipal Stadium and playing for the most part like the expansion team they were. The lone bright spot for the Royals was left fielder Lou Piniella, a surprising development as a rookie since he had graced and disgraced several minor league teams since being signed by the Cleveland Indians in 1962 at age 18. Piniella was the first Royal ever to get a base hit, going four for four on Kansas City’s opening day in 1969. He became an instant hero in the Heartland of America, an area where many fans still consider the St. Louis Cardinals the local team and any Kansas City organization merely a farm club of the New York Yankees. Piniella also became the first Royals’ player to ever scrub pots and pans at Fort Leonard Wood. A member of a reserve component in Kansas City, Piniella elected to play those weekend games and consequently, along with Royals’ pitcher Roger Nelson (a Cincinnati castoff), reported to summer camp a couple moons late. And the two – Piniella and Nelson – promptly were slapped on K.P., which places them under the command of the mess hall cooks. It was only for a day, but what a thrill for someone like me, who is a charter member of the original Royals fandom. Stop by my office and I’ll show you my Royals pennant. It was also a study in human nature. Nelson was assigned to peeling potatoes, which he took to with little enthusiasm. He whiled away most of the time tossing potatoes in the air with one hand and attempting to slice them with a knife in the other hand. Piniella’s approach was quite different. Scrubbing pots and pans is considered the dirtiest, filthiest job in the mess hall – soiling his Army fatigues way before daybreak (K.P. begins about 4 o’clock in the morning) – and when he left that evening (15 hours later) every pot and pan was washed and left hanging in its proper place. It’s little wonder that few people can relate whatever happened to Nelson and his baseball career. As for Piniella, he went on to become the American League’s Rookie of the Year in 1969. Not too bad for a guy who had lumbered through the minors for seven years with a temper as hot as his West Tampa, Florida, upbringing. After being signed by Cleveland, Piniella began in Class D with the Selma (Alabama) Cloverleafs. Then – in November of 1962 – he was selected in the Minor League draft by the Washington Senators and the next July traded to the Baltimore Orioles … and then swapped back to Cleveland. During these years, it is possible most players would have found a nice nail for retiring the spikes. Oh, Piniella got cups of coffee with Baltimore (four games in 1964) and Cleveland in 1968 (six games), but never collected a hit. But Piniella didn’t quit. He kept right on scrubbing. 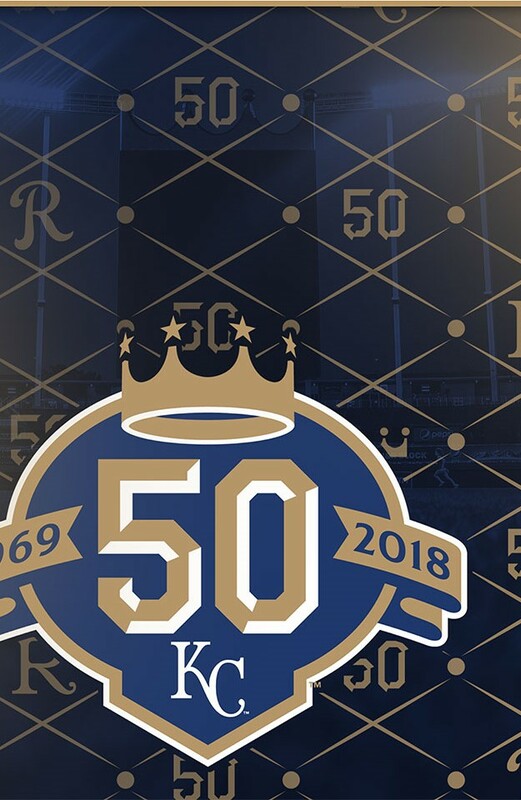 In the expansion draft ahead of the 1969 season – when the Kansas City and Seattle franchises were added to the American League – Piniella had wanted to be picked by the Royals because he had once played for their manager, Joe Gordon. Seattle had the first pick and selected Chico Salmon. Kansas City then plucked Roger Nelson, the pitcher. Piniella then went to the Pilots. But not for long because Piniella then was traded to Kansas City for outfielder Steve Whitaker. Piniella got off fast with Kansas City. In his first spring training game, he homered off Steve Carlton. And he opened the 1969 season as the Royals lead-off batter and responded with four straight hits. The rest is history. He quickly went from a $12,500 a year rookie ballplayer to become an American League star. Then ahead of the 1974 campaign, the pipeline from Kansas City to New York (the Yankees) vacuumed up Piniella and he became one of the top hitters in baseball for the next 10 years. And one of his mess hall cooks at Fort Leonard Wood continued to be one of his biggest fans. I always rooted for Piniella to go four for four as long as the Yankees lost. A true Royals’ fan also is a true Yankee hater. Of course, Piniella two seasons back replaced Billy Martin as manager of the Yankees. And since the Royals aren’t in the 1987 World Series beginning today, I wish the Yankees and their manager were (nothing against Whitey Herzog of the St. Louis Cardinals or Tom Kelly of the Minnesota Twins). But it is only Piniella who has made that trek from St. Robert to Fort Leonard Wood. I only hope Yankees’ owner George Steinbrenner knows how well Piniella scrubs pots and pans.